I hosted a jewelry party recently and decided to make some yummy gourmet pizzas for appetizers. This one was my favorite! I used a store bought pizza crust (found a good one at Albertson’s that is already baked and was a step up from a Boboli type crust). 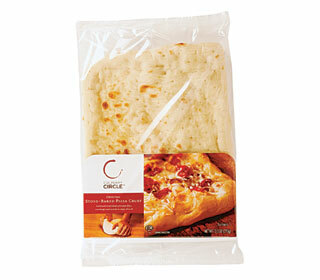 If you are a pizza crust maker or have good luck with rolling out dough (I am not…and I don’t) it would be even tastier! The toppings took a little time to prepare, but they can all be done ahead and the pizza is quick and easy to make once you have done the prep work. Soak your slices in a bowl of ice cold water that you have squeezed the juice of one whole lemon into. 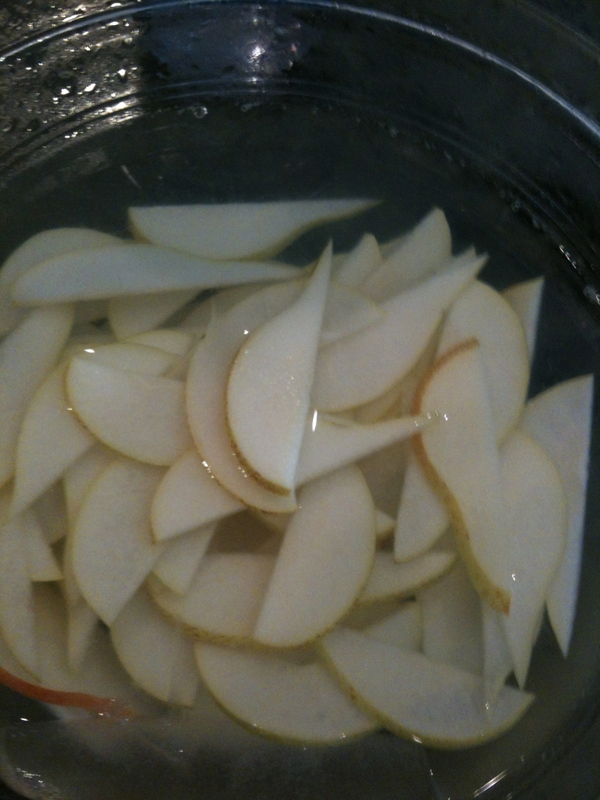 This will keep the pears crisp and help them retain their color without browning. 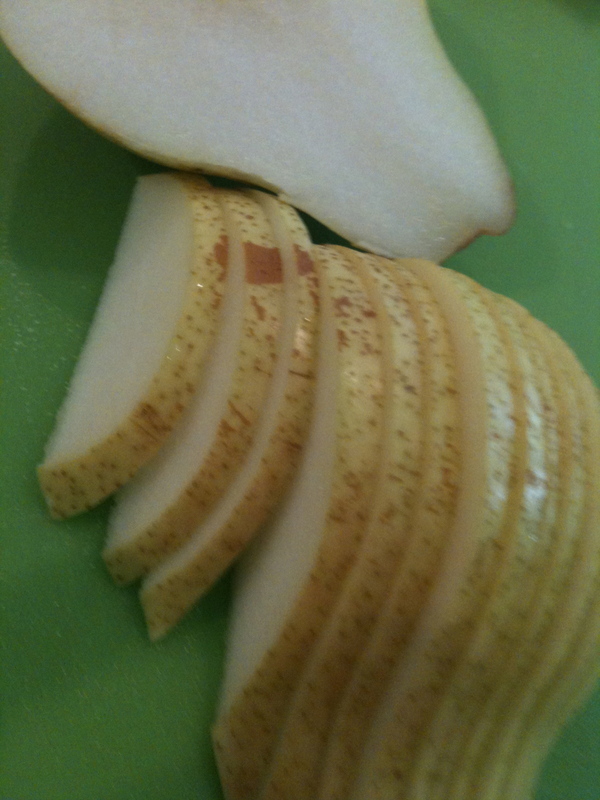 This is a great tip for apples too! After a few minutes of soaking, dry them on paper towels and store them in a zip lock bag in the fridge until you need them. 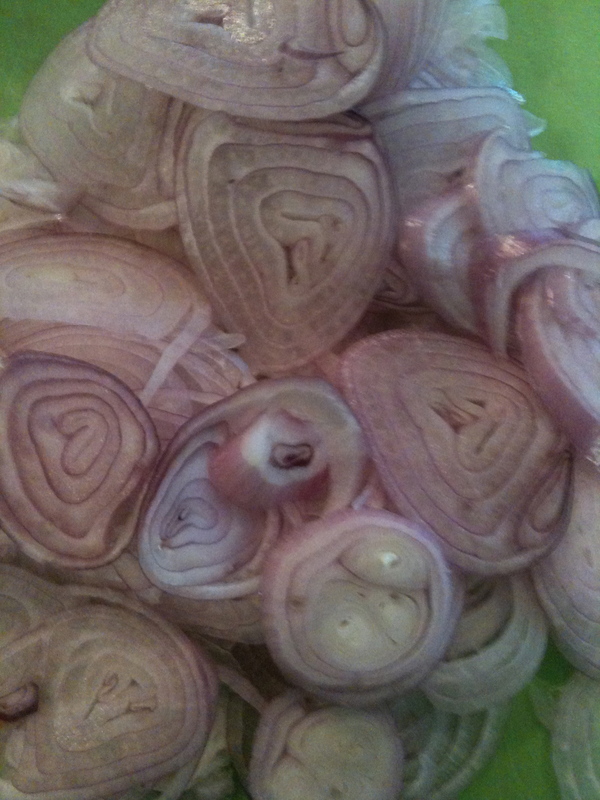 Thinly slice 3 shallots. This will seem like a lot but they cook down as you caramelize them. Brown 3 ounces of diced pancetta in an non stick pan until it has rendered most of it's fat and has crisped up. In an stainless "All-Clad" type pan, saute the shallots in some of the fat from the pancetta combined with some olive oil. Take your time with this...you wan them to have a "melt in your mouth" texture when you are done. 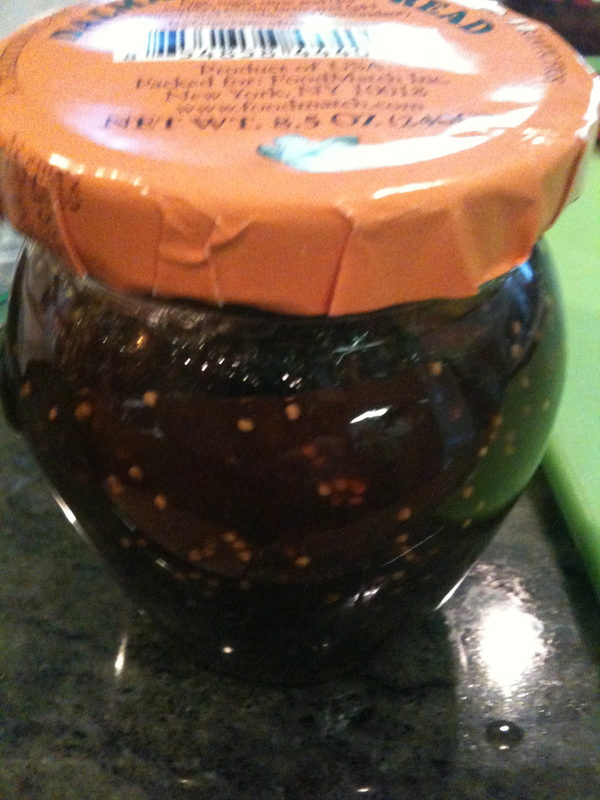 My secret ingredient...fig jam that I add to the shallots to intensify their sweet taste. Once all of your ingredients are cooked and prepped, you can lay them out and start assembling your pizza. If you want to do these steps ahead of time, just store the pears, cooked shallots, and pancetta in the fridge until you are ready for them. 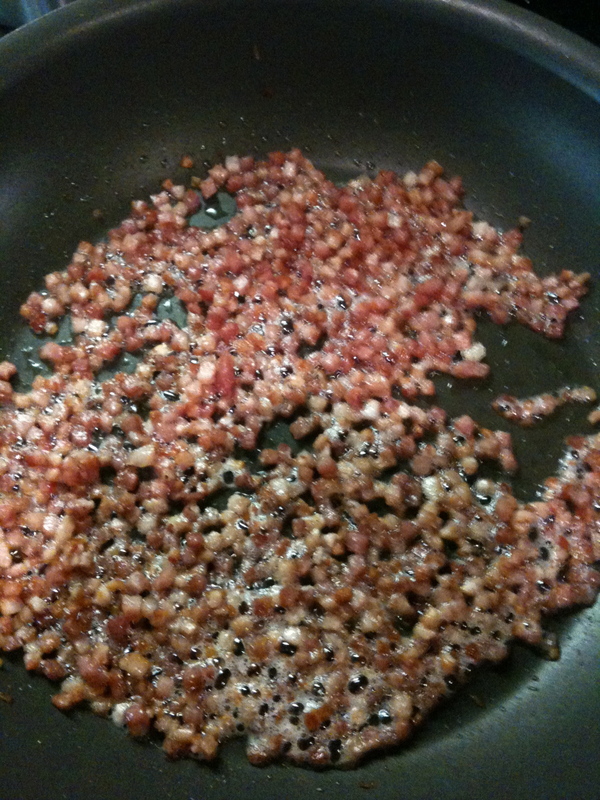 Saute the diced pancetta until it has rendered it’s fat and has crisped up, about 15 minutes. Drain on a plate with a paper towel and reserve 1 tablespoon of the fat. In another pan, saute the shallots in the reserved fat from the pancetta and a tablespoon of olive oil. Keep the heat on medium low and make sure they don’t burn and season them with salt and pepper. Saute them for about 20 minutes or until the are caramelized and very tender. Once they are done, add a tablespoon of balsamic vinegar to deglaze any bits that are stuck to the pan. 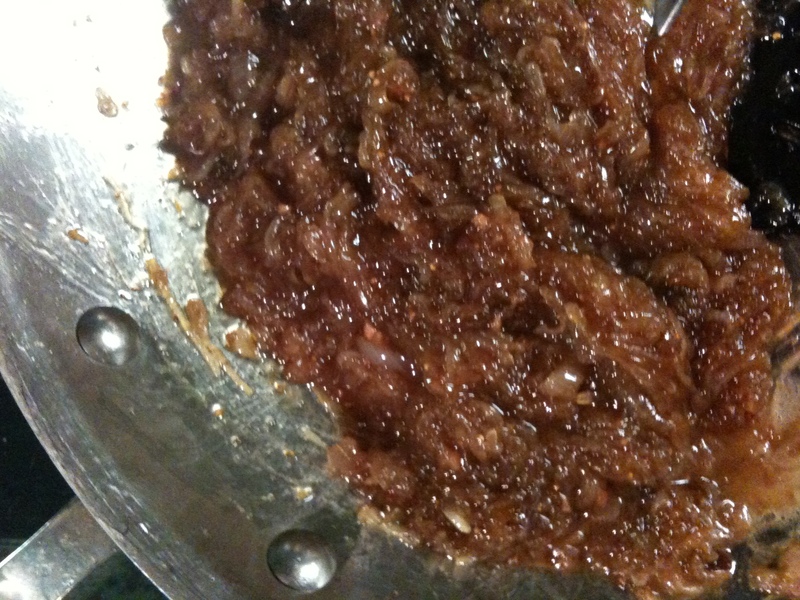 Add the fig jam to the pan and stir into the shallots until it has melted and is mixed in. The consistency of the shallots should be like a thick jam. 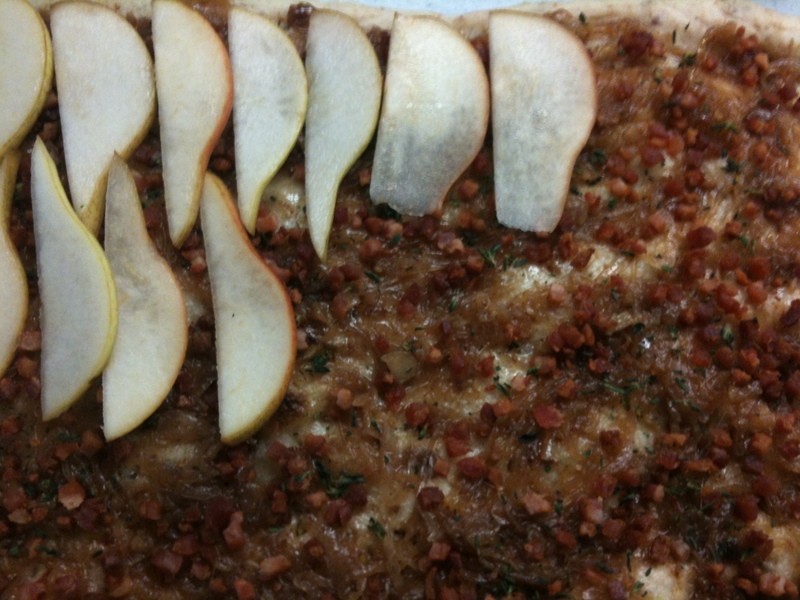 To assemble the pizza: Spread the sauteed shallots in an even layer on the crust. Sprinkle the pancetta over the top of the shallots. Sprinkle the fresh chopped thyme on top of the pancetta. 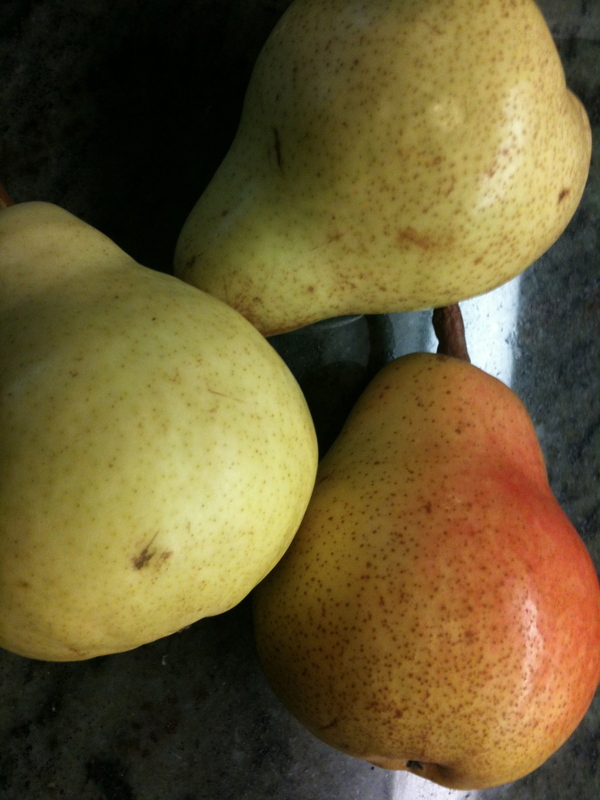 Lay the pears on top so that they are very close together but not overlapping. Sprinkle the gorgonzola on last. If you use a pre-baked crust, bake the pizza right on the oven rack for about 15 minutes. Keep a close eye…it’s done when the top starts to brown a little. 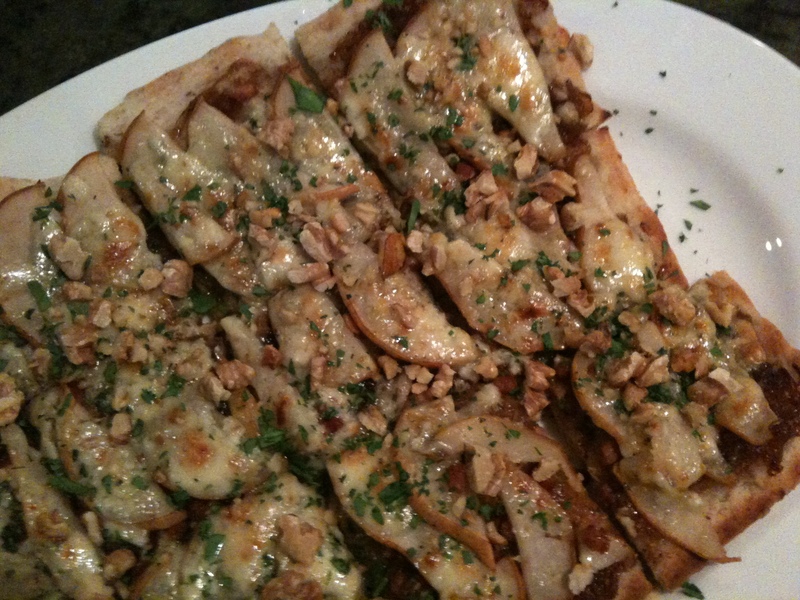 Remove from the oven and garnish with the walnuts and parsley. Made this pizza a few times, and LOVE it! The only change I made was I used Apricot preserves as I couldn’t find fig jam anywhere…delicious! Thanks! The apricot preserves is a great idea!